If You Haven't Scheduled Spring Maintenance, It's Not Too Late! By now, most Gainesville residents are using their AC systems day and night. Having a functional unit in the summertime is essential in Florida. But if you haven’t prepared your system for hard work this oncoming season, you may be at risk of getting stuck in the heat. Scheduling regular HVAC maintenance with a reliable Gainesville AC company such as LIBERTYAIR is the best way to keep cool among rising temperatures. Call us today! As you schedule regular maintenance for your car, an AC unit requires the same attention. Like any appliance, every piece of machinery within your system needs to function at peak efficiency for the unit to run smoothly and produce the results you expect. It doesn’t take long for you to feel the negative effects of Florida’s summer heat when your AC unit is down. Prevent this from happening to you with these tips from Gainesville AC company LIBERTYAIR. Collected dust and debris can pose a risk to your AC unit. A malfunctioning unit can lead to an increased chance of dehydration from sweating and overheating, reduced filtration of allergens found in the air, and a spike in humidity that can promote the growth of mold and mildew. LIBERTYAIR provides several indoor air quality (IAQ) services for Gainesville homes and businesses. To maintain the quality of your indoor air, or to schedule an appointment for AC repair in Gainesville, FL, call us today! Paying for emergency AC repairs after a sudden breakdown is more expensive scheduling regular HVAC maintenance services. The latter is also less time-consuming. When one component of a unit malfunctions, it has the potential to affect the other parts, which can lead to a breakdown of the entire unit. In addition, systems that function inefficiently can overexert their mechanisms, causing your utility bill to skyrocket. If you want to avoid extra costs and ensure your IAQ is in top shape, call LIBERTYAIR for an appointment today. Springtime coolness can be deceiving, as summer is just around the corner. 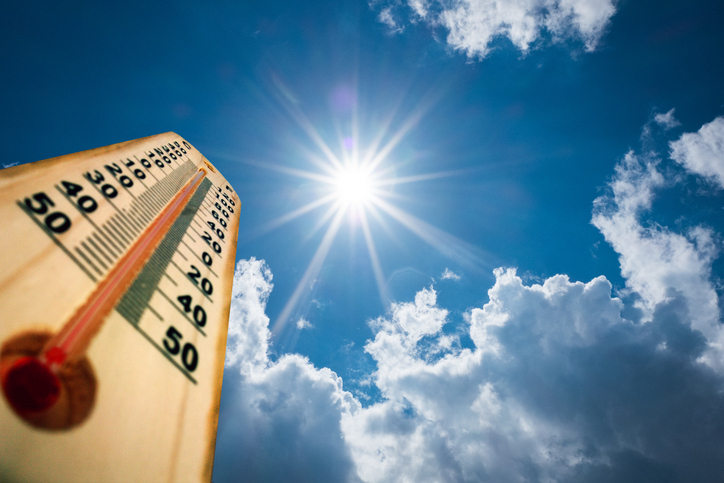 Even with frequent current use, your AC system may not be prepared to perform at maximum capacity during the hottest months of the year. Prepare it for summer with LIBERTYAIR’s spring HVAC maintenance. Our technicians take care of your HVAC system by changing air filters and cleaning the air handler, fans, motors and other internal and external components. If you also need Gainesville AC repair, we’ll take care of it to ensure you enjoy cool comfort for the rest of the year. If you turn on the AC and discover it’s not functioning at peak efficiency, call LIBERTYAIR for fast and reliable AC repair in Gainesville, FL, that can help you stay calm, cool and collected even in the warmest temperatures. Schedule an appointment today!